After four rounds of public meetings and nearly 700 total comments, the City-County Planning Board will be holding a Public Hearing on whether to adopt the Legacy 2030 Update. 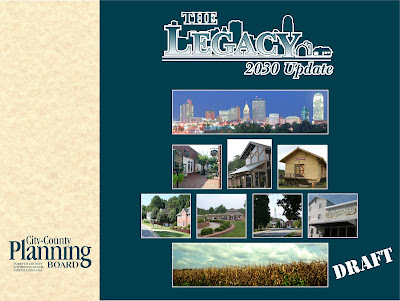 Planning staff has responded to citizen comments and made appropriate changes to Legacy's May 2012 draft. Read the updated plan by clicking the chapters to the right. Time: Thursday, July 26, 4:30 P.M. Questions? Call Kelly Bennett at 747-7062 or email kellyb@cityofws.org.